International students are valued members of the University of Michigan campus community. The wealth of global and cultural experience they bring adds significantly to the rich and varied tapestry of backgrounds they will find here. The University has a long history of engaging the world on many levels — as an international student, you help maintain and further our standing and deep connection with the global community. The application process for international students at the University of Michigan is the same process all undergraduate students undertake, with a few key differences. The requirements may vary depending on your country of origin and specific educational history, particularly the type of transcript you will need to submit. Before you apply, it is important to note that international students on temporary visas are not eligible for financial aid, and are expected to pay the full cost of attendance. Few scholarships are available. 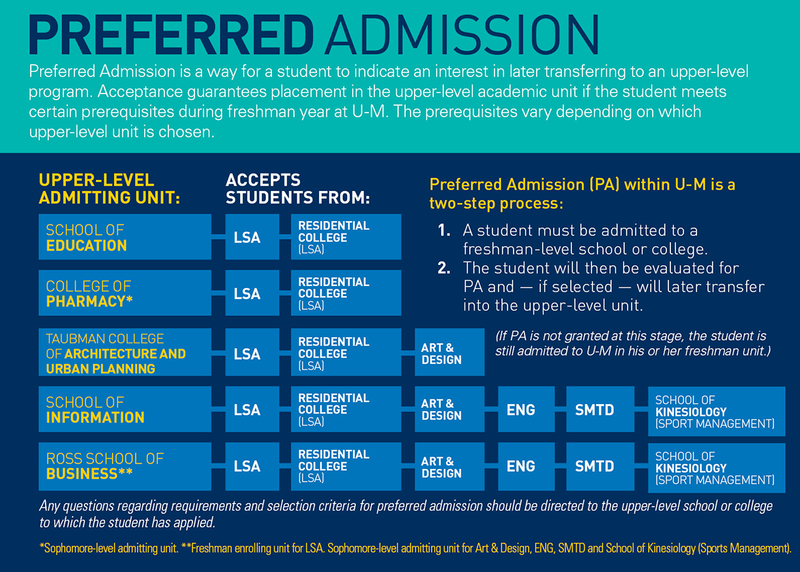 All undergraduate first-year applicants are required to submit test results from either the SAT or the ACT. Submit one Teacher Evaluation (academic teacher). Submit a Counselor Recommendation (encouraged, but not required). If you are a speaker of English as a second language, you will need to submit your MELAB, TOEFL, or IELTS scores. Please note that international students on temporary visas are not eligible for financial aid, and should expect to pay the full cost of attendance. Scholarships are generally not available. Do not submit any extra documents unless specifically requested, as this may only delay your decision. The TOEFL English-language test is recognized by more than 9,000 colleges and universities in more than 130 countries. The Michigan English Language Assessment Battery (MELAB) evaluates advanced-level English language competence of adult nonnative speakers of English. The International English Language Testing System (IELTS) assesses the English language proficiency of people who want to study or work where English is the primary language. Our requirements may differ depending on your home country. Review the requirements here. Because the University of Michigan's winter term starts at the beginning of January and because the fall term in many countries does not end until late January or February, it may not be possible to apply for U-M's winter term. It is very important that any fall term courses you are enrolled in be completed. 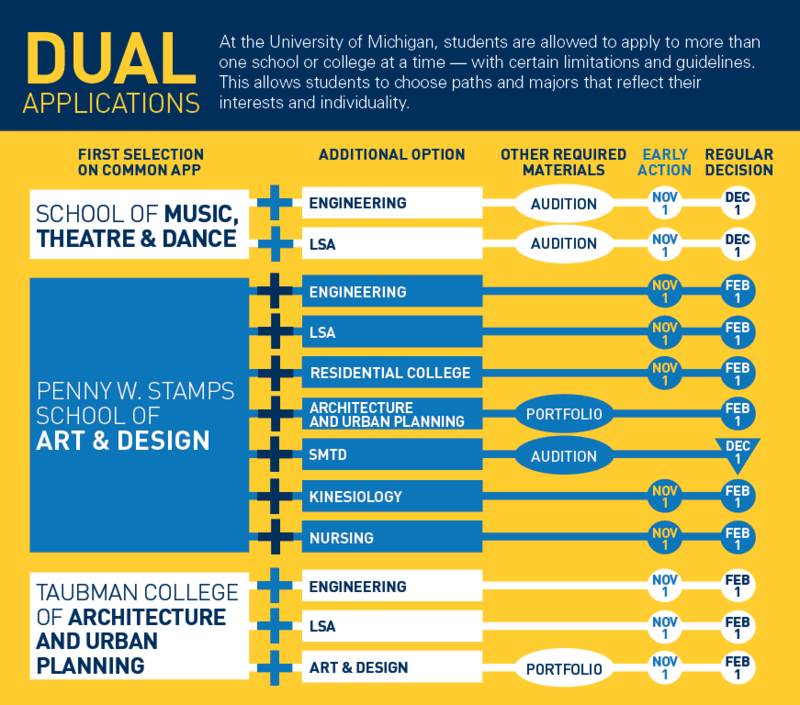 If your fall term does not end until some time in January or later, applying to U-M for our fall term which begins in early September (or in some cases summer term which begins at the end of June) would be the only option(s). If not enrolling during the winter term at your current university in your country, our U-M spring term which begins at the end of April may also be a possibility. Federal regulations and University of Michigan policy severely limit the types of financial assistance available to international students. University admissions policy requires that international students (those with F-1 and J-1 visas) have enough resources to meet their expenses. Students with these visas are not eligible for federal student aid. Scholarships are not generally available.